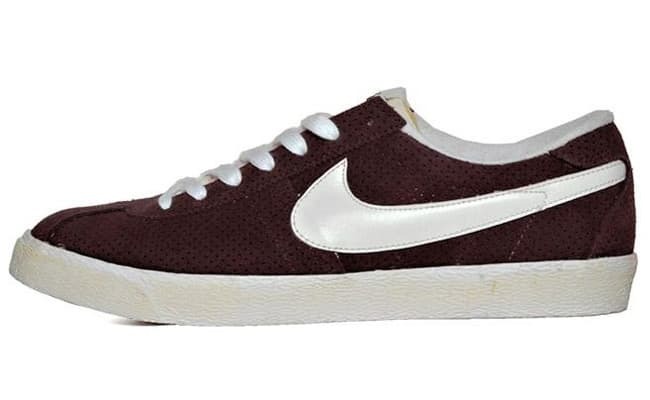 Perforated suede wraps this upcoming release of Nike&apos;s Bruin model, noted in a Red Mahogany colorway. The vintage variation is then complemented with white Swoosh branding alongside, matching the laces, lining, and midsole. Additional old-school tagging can be seen on the tongue, as you can pre-order the nostalgic drop now through the UK&apos;s End.